The military has reported that New People’s Army rebels have killed three Philippine soldiers on the island of Negros Sunday. The clash is the first reported since a newly-elected president has offered to once again talk peace among the people. The soldiers were stationed on the central island of Negros over the weekend when NPA guerrillas were caught extorting money from local villages when the clash began. The military said that at least 10 rebels were in the rebel group, which took out three Filipino soldiers, and wounded two others. The recent elections hoped to bring peace to NPA communist rebels, President-elect Rodrigo Duterte said he would be willing to release some jail communist rebels in an effort to reopen peace talks with the group. The violence comes less than a week after elections. President Benigno Aquino III broke off talks with the Communist Party of the Philippines years ago after they demanded the releases of their comrades. The NPA hopes to gain concessions with the incoming president as he has often appeased their demands, giving into the pressure to find peace. However, recent NPA attacks, kidnappings and murders in and around Davao City have proven once again that the communist rebels are not going away anytime soon. Duterte has agreed to meet with Jose Maria Sison, the communist party leader since its inception in 1968. Sison took refuge in the Netherlands where he hides out to this day. Sison is asking Duterte for a meeting – the meeting is to discuss Sison’s return to the Philippines, worry many of what will come if he should take command of the very party he started. 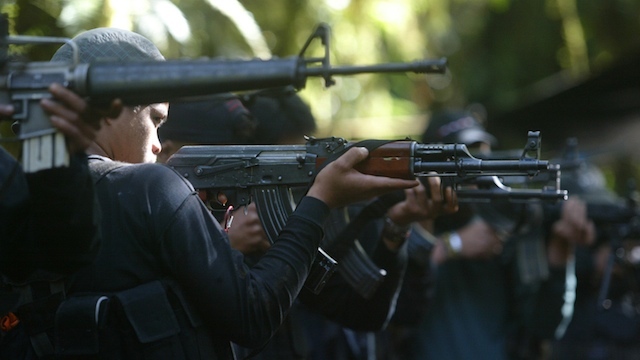 Officials have said that the NPA has killed over 30,000 people since its inception – several factions of the NPA run rampant throughout the Philippines – however the return of Sison may brings those factions together, creating a militia force that would be difficult to stop.